» Wrist Rest for Mouse – Good or Bad? Are you experiencing pain in your wrist while using your computer mouse? Do you suffer from carpal tunnel syndrome and using your mouse causes your symptoms to flare up? Should You Get a Wrist Rest? But is it the right choice? Today we will be examining that issue and attempting to come up with a definitive answer to the question: using a wrist rest for mouse—good or bad? Depending on your posture while using your mouse, and even the way that you grip it, you may be bringing the wrist pain on yourself. You should be able to sit with your elbows close to your sides and your arms bent at a 90 degree angle when using your mouse and keyboard. You should mainly be focusing on using your arm for making wide sweeps with the cursor—not just your wrist. Frequently flicking the mouse cursor around using just your wrist is one of the leading causes of pain experienced by mouse users. Another important thing to consider is whether or not your mouse is the proper size for your hand. If the mouse is too large, your forearm won’t be able to rest properly while you’re working. Alternatively, if the mouse is too small, you won’t be able to comfortably grip it with your palm to make smooth movements. Many times, you can relieve some types of chronic hand and wrist pain that you experience while using a computer by addressing your posture and the position of your keyboard and mouse (they should be placed close together, allowing you to maintain a comfortable position with your shoulders relaxed and your elbows close to your sides). Deciding whether or not wrist rests would be helpful for you depends on your own personal circumstances for the most part. 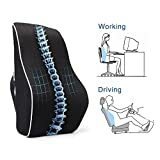 If you find that you can comfortably work for extended periods of time and your pain is relieved by simply using proper posture when using a computer, there’s no need to purchase any additional items. However, if you still experience pain after addressing any postural issues, then perhaps a wrist rest can be just the thing you need to relieve your pain. Many people find that wrist rests are particularly effective at relieving tension felt in the neck and shoulders. The aim of a wrist rest is to keep your wrists in a neutral position while you’re working. If you find that the only way you can keep your wrists in such a position is by using a wrist rest, then we would absolutely recommend that you get one. It should be noted that in some cases, using a wrist rest can end up making things worse for some people. As we mentioned above, it’s essential to have your wrists resting in a neutral position. If you use a wrist rest and it causes your wrists to bend even slightly, it can end up placing pressure on the nerve that is associated with carpal tunnel syndrome. This doesn’t just apply to wrist rests -- even leaning your wrists on the surface of a desk in an awkward position for extended periods can place undue pressure on the hands and wrists. In the end, it’s nearly impossible to definitively say whether you should use a wrist rest or not. Some people have claimed that a wrist rest completely eliminated their chronic wrist pain issues, while others find their carpal tunnel ends up aggravated even more when using them. We tend to think that there can definitely be a time and a place when it comes to using a wrist rest. They should only be considered after attempting to address your wrist pain by correcting your posture, adjusting your keyboard and mouse positioning, and even taking your desk height into consideration. If you’ve tried out all of the above suggestions, and you’re still experiencing hand or wrist pain, then, by all means, go ahead and invest in a wrist rest. It may be just the thing you need. 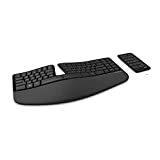 In fact, many people find it beneficial to only use a wrist rest periodically—when they begin to feel an ache in their wrist, they give their wrists a break by using the wrist rest for a little while. Another option would be to consider buying an ergonomic mouse instead. 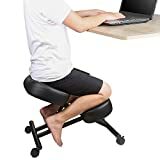 So, whether all it takes is a few simple adjustments to your posture or using a wrist rest—the most important thing is to address and resolve any issues causing you to experience pain while using your computer before it can progress into a bigger problem. Previous Post How to Get Used to a New Keyboard Next Post What are the Best Standing Desks?